The Tamperdrome Collection by G.P. 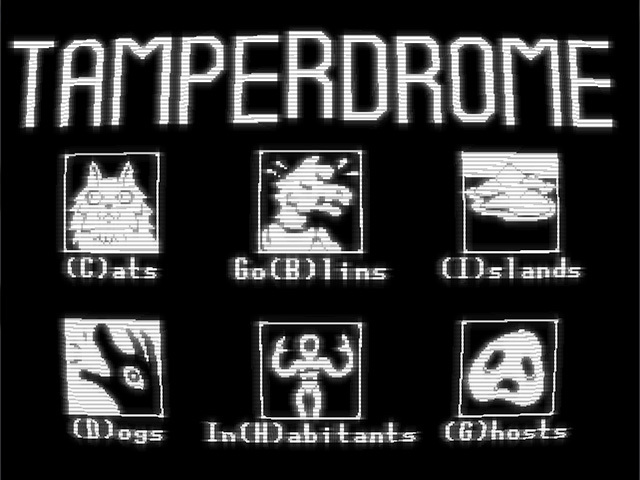 The ※ TAMPERDROME COLLECTION ※ allows you to generate random Dogs, Islands, Ghosts, Cats, and other Strange Things. You can type your name ⸨or the names of your parents?⸩ and see what that name looks like as a Cat. You can see what your birthday looks like as an Island! 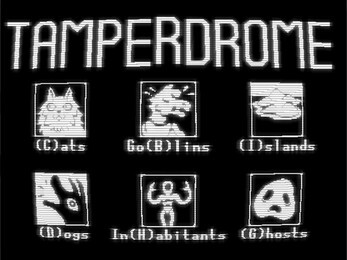 The ※ TAMPERDROME COLLECTION ※ has physical form. Fragments of this project have exhibited at The Museum of Achievement in Austin, Texas. A market-version with live sticker printing of generated artwork was present at The BitBazaar in Toronto, Ontario.